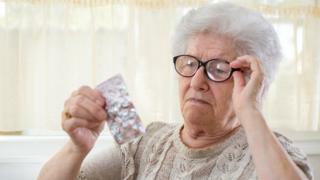 Prof John McNeil, from Monash University, said: "It means millions of healthy older people around the world who are taking low dose aspirin without a medical reason, may be doing so unnecessarily, because the study showed no overall benefit to offset the risk of bleeding. "These findings will help inform prescribing doctors who have long been uncertain about whether to recommend aspirin to healthy patients." "Taking aspirin if you are otherwise healthy, over the age of 70, if you haven't had a previous heart attack or stroke, is really of very little benefit," he said. "And so self-medicating with aspirin in the absence of a definite medical indication isn't advisable." The findings do not apply to people taking aspirin because of a heart attack or stroke - they should continue to follow their doctor's advice. Are doctors prescribing too many drugs?